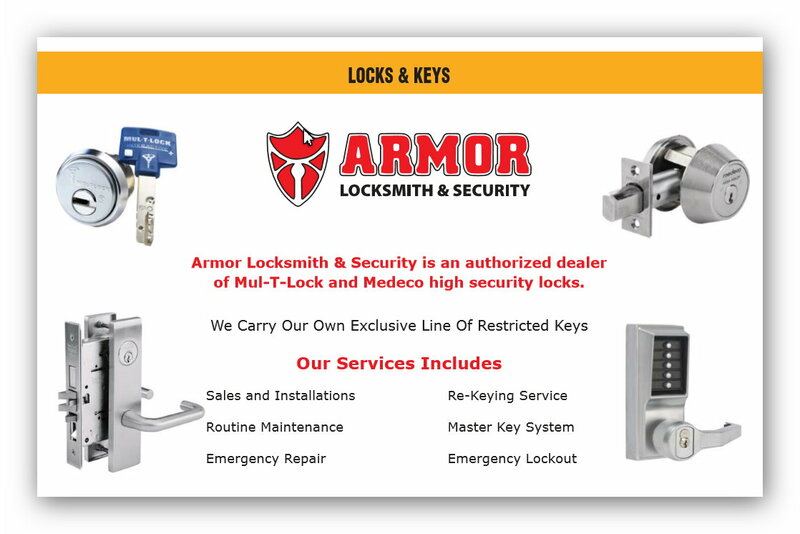 Armor Locksmith & Security specializing in all of your lock, doors, and advanced security needs! With over 35 years combined experience and industry knowledge, we have the right technician, no matter how big or small your security needs are. Our technicians are direct employees and have successfully passed a background check. We stand behind our technicians, materials, and quality of work. We can address all of your needs in a fast, reliable and professional manner. We welcome corporate accounts and oﬀer deferred billing upon approval. If you need a Shabbat lock just call us now (718) 445-9200, if you want to lock your home and you keep to forget your keys we have a solution for you Shabbat lock just call us now (718) 445-9200 and we will set up for you a new Shabbat lock. What could be more convenient than a Shabbat lock for your door? You never know when you may find yourself in a pickle and unable to open your mechanical keyless door lock. While it doesn’t happen often, mishaps and problems do happen and not every local locksmith can help you get your Shabbat lock open. At Armor Locksmith New York, we have experience in a variety of locksmith services, which include the type of Shabbos lock that can be found in many of the homes here in New York. Whether you live in Williamsburg or, Greenpoint, or even Long Island or Brooklyn, Queens our Shabbat lock services expand all over New-York USA and we are happy to provide you with service, no matter how far you may be. Whether you already have the Shabbat lock or you want us to install one for you, you can trust that we are honest and dependable and will provide you with the best locks in New-York USA. We know that some homeowners that celebrate the Sabbath have concerns about the quality and dependability of their locks so we will only use a top-notch Shabbat lock for your door to ensure that no one can break in. At Armor Locksmith New York, we sell, install, and repair any Shabbos lock that you may need. From 5-digit locks to 14 digits, we have the very best that can be found from Astoria to Bronx, Queens, Williamsburg, Greenpoint, or Brooklyn. 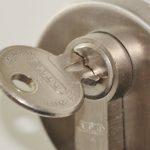 Sometimes a Shabbat lock will stop working suddenly for no apparent reason, but this can be a frustrating experience for anyone. At Armor Locksmith, we are the local locksmith company you can depend on for your mechanical push button door lock. We know how to repair any kind of lock, even a Shabbat lock, so whether you locked your keys in a car or you are wondering “if there is a locksmith near me,” all you have to do is call us at Armor Locksmith New York and we will be there to help, no matter what. 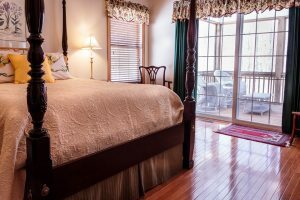 As professionals with plenty of experience, we are here to make sure that your home stays safe and sound while you are away. Our trustworthy service means that whether you can’t get your Shabbat lock open or you need a new one installed, you will be receiving the best. Shabbat locks can be tricky, but we have experience with all types of locks. A mechanical keyless door lock may sound confusing, but we understand how to quickly and efficiently fix them. If your home has a mechanical push button door lock, we are experts at repairing them and you can rest assured that we will fix it in no time. Don’t worry about a thing. We understand your needs and your desire to observe your religion and traditions and we make it easy for those who use a Shabbat Lock (mechanical push button door lock) to get the locksmith service and lock installation they can depend on. You can call us at (718) 445-9200, where we sell and repair all types of locks. As licensed and insured locksmiths, you can depend on us for all of your Shabbat lock needs in NYC, U.S. If you need Auto Locksmith because you got lockout from your car just call us now (718) 445-9200 and we will be there in less than 30 min with a new car key and access to your car. Car lockouts are common. According to AAA, there are more than five million drivers who need car lockout service in a year; this is an increase from just a few hundred thousand lockouts in the past three years. When you are locked out of car Queens NY USA, broken the keys, locked keys in the car or lost car keys, you need a professional mobile locksmith. 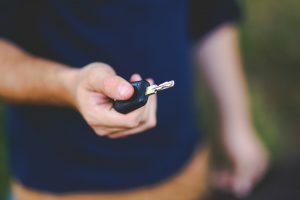 Getting car key replacement in Queens, NY is easy, but when you have locked out of car Queens, NYC USA, you first need access to your car before you can think of other remedies. Here is what you need to know about auto locksmith and 24-hour locksmith near me service professionals and lost car key replacement. If you have locked keys in the car, you need car lockout NYC USAservice urgently, especially if it is at night. When you reach us through (718) 445-9200, our technicians will be at your location in between 15 and 30 minutes. This will, however, depend on a few factors such as how busy our technicians are, their location in relation to your location and the remoteness of your location. Nevertheless, you can be sure that an auto locksmith will be at your location within a short period given the great infrastructure of New-York USA. The good thing is, our locksmith 24-hour technician will tell you how long they may take to reach to where you are. 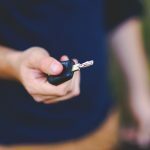 How Long Does Lost Car Key Replacement Service Take? When a locksmith for cars arrives where you have locked keys in the car, he/she will do an evaluation to see which method to use to unlock the car door. A traditional car lock takes less than 5 minutes to get past. You can be in your car and drive home or to work within 20 minutes of calling for a Mobile locksmith. However, if your car has more security features than the standard car, the time taken to unlock it may take relatively longer. This should however not worry you; the moment you call (718) 445-9200, you are assured that your car will be attended for chip keys duplicate or other services. Locked Out of in Car Queens New York? Will Unlocking a Car Lock Cause any Damage? When locked out of car Queens New York and you are in need of a locksmith 24-hour technician will get past the car security with no damages to your vehicle or to your lock. If you have lost car keys Ford, professional locksmith for cars will ensure that you gain access to your car without having to incur the cost of unnecessary repairs. 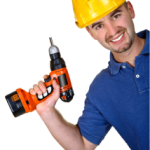 In the case of trunks lockout, there may be instances when drilling has to be done. However, when the car key replacement is done, the drilled hole will be covered by your license plate taking the car back to shape. However, in car lockout service, damages are rare. Whenever you think “could there be a professional 24-hour locksmith near me”? You can easily get a reputable car key locksmith that understands the preciousness of your car. There is no standard car lockout service cost for NY USA as the charges are determined by a plethora of factors. First off, when you call (718) 445-9200, you may ask for an estimate but until the locksmith 24-hour service technician comes to your location and assesses the difficulty of the job, it may be challenging to give a good estimate. The technician will see whether you need to be lost car key replacement or you need to access your car. What Should You Do as You Wait For an Auto Locksmith? You can be locked out of car Queens New York anytime anywhere. First off, ensure that you are not in a place where you can block traffic. As long as possible stay by your car until the locksmith, you called through (718) 445-9200 arrives. Though it is always advisable to let a professional technician car for you, you can try out a few online DIYs if you feel that your skills can get you a pass into your car without spoiling the car lock. However, in most cases, this may end up wasting more of your time when you could otherwise have asked for car key replacement in Queens New York from a 24/7 service. Smart Locks: Does a Car Key Locksmith Unlock These Too? Whether your car uses transponder keys or traditional lock keys, you will get service after calling (718) 445-9200. Any locksmith for cars has been trained to not only bypass traditional locks but even the latest deadlocked car locks and smart cars. There are more ways to get you access to your car beside trying to unlock it using wedges and probes. If you have lost car keys Ford truck, the lock technician may decide on the easiest car lockout service method; and there is a wide variety of options. If you got Locked Out from your Car in Queens New York and you Can’t access to your car just call us now (718) 445-9200 and we will get you access and a new key for your car just call us now (718) 445-9200. Can’t access your car because you have lost your car keys? Do not worry, as long as you are in Queens NYC and surrounding areas such as Brooklyn, Williamsburg, Long Island, Greenpoint, Astoria, and the Bronx, getting professional lock technician service to replace or repair broken key is as easy as picking your phone and dialing (718) 445-9200. Why Seek Professional Auto Locksmith Service? Don’t fret if you are locked out of the car, Queens New York professional locksmith unlock car doors and ensure everything is perfect. With these professionals, you will notice the difference. If you have locked keys in the car and have never unlocked a car using anything else other than a key, try to avoid unlocking experiments on your own. You may pull something too hard, pull it too soft or even pull the wrong thing altogether. When an unlock tool is mishandled, the damage will be done. To this end, it is key to stay calm and wait for a technician. Again, you may not know how to rekey locks after gaining access to your car and thus the need for professional lost car key replacement. Unlocking your car is a good thing but again, locksmith for cars are held accountable if anything happens during unlock or the lost keys replacement process. To this end, you need to contact someone who has made it their life’s work to unlock and rekey locks. A wedge is a simple tool that tapers towards one end and can easily get drivers out of cars lockout; it is used to create a space between the car doorframe and the door. The size and the type of wedge will depend on the model of your car and the discretion of the technician who is working on your car. Wedges can be wooden, rubber, metal and plastic or air wedge. Softer wedges such as rubber are great as they prevent the tool from scratching the paint off your car. However, the technician may use an air wedge which is a cloth pouch with a rubber end. Whichever wedge the auto locksmith uses, it must not be left on the door for so long as it may cause damage even after lost car key replacement. Once the wedge makes a way, a probe, which is a slender and long tool used to manipulate the car lock, is then used. Seeing that the probe is inserted from the outside of your car, it needs to have the right balance of thinness and strength. Probing takes some time depending on the arrangement of the lock buttons. To this end, many auto locksmiths NY USA will avoid using a probe and instead go for slim jims. Used correctly, the probe will unlock car faster than you can find car key copy near me service. A slim Jim is a long flattened metal piece with a handle on one end and a hook on the other. It requires special skills to get drivers out of cars lockout and does not work on every car. However, they are rarely used nowadays, at least not in Long Island NYC and surrounding areas. When used inappropriately, the Slim Jim may cause damage to your car. A Slim Jim works by slipping between the car window glass and the weatherstrip. 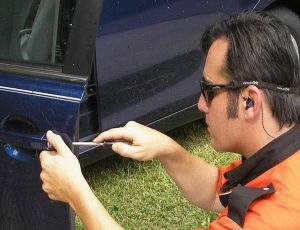 On slipping the slim Jim inside the car, the auto locksmith will look for post lock – a wire which when pulled unlocks the door – and pull it. There are a couple of wires; pulling the wrong wire will damage the lock. Lock picking can easily get people out of cars lockout. 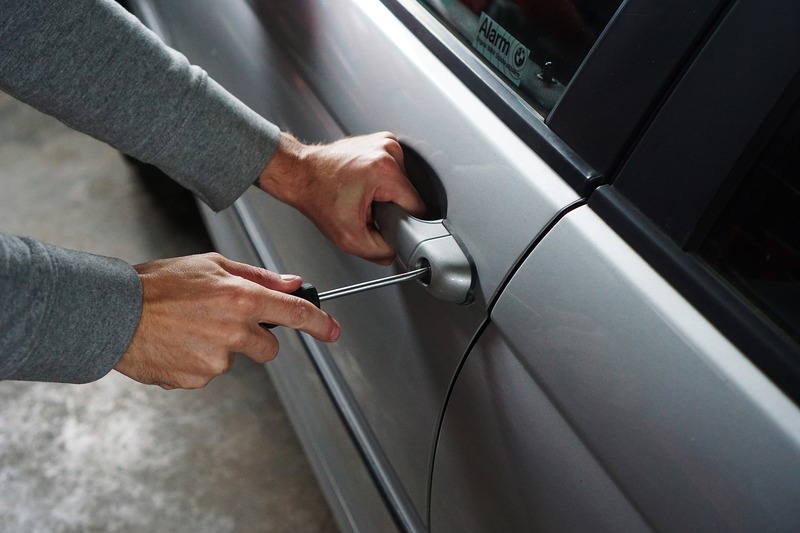 Given that you need a lock technician fast after calling (718) 445-9200 and you need to access your car fast, you may not be willing to wait for the extra minutes it may take to pick a lock. However, an experienced locksmith for cars may do it in a couple of minutes. 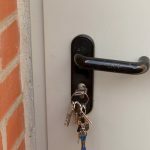 24/7 service locksmiths will use a mix of single pins and takes to get the lock open. Older car keys can also get the job done, especially if the lock system is the same. These keys may, at times, unlock the car door and even start your vehicle. Auto Smiths may also use auto jigglers – which are flat pieces of metal with odds shapes and no words – in the case of lost car keys. If you need a Car Key Replacement in Queens, New-York USA just calls us now (718) 445-9200 and we will be there in less then 30min to fix your problem. There are three main ways to handle lost keys replacement; either DIY, go to the dealership or call a car key locksmith through 718 445-9200. Each of these methods has its good and bad sides. Dealerships are trustworthy in their services but their prices are relatively steeper. Doing it yourself is the cheapest option but it may take a lot of time and you may cause some damage trying to repair broken key or replacing lost car keys. A car key locksmith offers you the best of both worlds, trustworthy services at a reasonable price. Plus, a car key locksmith will be within your location within a few minutes of calling (718) 445-9200. Whether you need a replacement for transponder keys in Fresh Meadows, Brooklyn, Astoria or Bronx, NYC and surrounding areas or you need chip keys duplicate for lost car keys Ford or any other model, you are covered. First off though, you need to understand different keys and which ones may need ignition repair. Keys are made up of five basic parts but others may have a sixth part. The Bow is the part where you hold when operating the key. If the bow is made of plastic, it means that yours is a transponder key as a transponder chip can be embedded in the plastic cover. The Bitting is the side that has ridges/teeth/cuts; this part manipulates a lock to open it. The Wards are cuts that prevent a key from fitting in any other lock but do not manipulate a lock in any way. The Blade is the part that holds the wards, bitting and tip while the Tip is the end of the key. Most traditional keys have s shoulder which restricts over-insertion. You made need to explain how your car keys looks like when locked out of car Queens and in need of car key replacement in Queens New-York USA. Wafer keys are created to open wafer locks. They are designed with grooves on both the top and the bottom of their blade; this means you can insert them either way. Simply, the key moves the lock wafers up or down to open car lock. These kinds of locks are not all that secure as they can be opened by tryout keys without need for car key replacement. If you need replacement car keys or to repair broken key, check whether your key needs a transponder keys chip before calling(718) 445-9200. Chip keys duplicate or replacement is easy once the key has been replaced. Put simply, a slider key moves sliders to unlock a lock. Both sides of the blade have a snake-like pattern. This means they can be inserted in two ways. Just like in wafer keys, the serrations on the sides of the blade are used to move up or down internal lock components. Slider car locks have gates; when the key is inserted, the sliders fall on different gates and allow the lock to be turned. Most of these keys will be hidden in a key fob. In the event of cars lock out and you need replacement car keys, NY USA, you will realize it is easy to replace slider lock keys. You can have auto locksmiths who can rekey locks or have a key maker make a copy for you. The key fob refers to the electronic part of your car keys; it is like a remote to control your car lock system. With a key fob, you will be able to unlock car by clicking a button. On newer car models, the fob also ignites the car. This means that sometimes you may need ignition repair when the key fob is not working. The fob is equipped with proximity sensors and is used as a security token (used to authenticate the car owner). The fob uses infrared, Bluetooth or near-field communication to unlock or ignite a car. The fob can be attached to your car keys or it may be a standalone device to start your car. You can easily get lost keys replacement by calling (718) 445-9200. On calling (718) 445-9200, a mobile locksmith will be sent to your location. However, with key fobs, a thorough assessment needs to be done to determine the problem before providing a remedy; this may take longer than traditional locks. A transponder key runs on two systems; a traditional key and a transponder chip. The key works just like any other key. The transponder chip is activated when the key is inserted into the lock and turned. The transponder chip communicates to the transceiver in the key ring and the car ignites; the transmitter is referred to as the female while the transponder is the male. In the event of lost car keys, the transponder has to be reprogrammed during car key replacement. If you need a Mobile Locksmith just call us now (718) 445-9200 and we will be there in less then 30 min to help and to fix the problem for you. • Stay calm and collected to avoid attracting attention from by-passers especially when locked out of the car in a remote area. • Give the correct details to the person who receives the call on (718) 445-9200. This information includes the exact location you are in – for instance Fresh Meadows, Queens, NY (include the street name and number here). This will enable the mobile locksmith to locate you fast. • Give details about your problem. This can be either lost car keys, trunks lockout, repair broken key, transponder keys not responding or your locks just won’t open. You need to give details about your lock; type of lock and type of key, the condition of the lock, how lock opens from inside the car and any other details that the locksmith may need. • Finally, you need to give details about your car; these include make, model and year. For instance, 2016 Toyota Camry. Giving correct details will enable the auto locksmith or key maker know which tools to bring and give you an estimate of how long it may take to rekey locks or unlock your car. Modern cars are equipped with modern security systems and any key maker knows the systems are a challenge during car key replacement or unlocking. 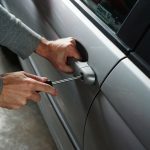 When you lose or lock the keys inside the car, there are lots of ways to gain access to the car. First off, the car can be opened remotely; this is possible if you registered with a company that locks or unlocks cars when you bought it at the dealership. Some dealerships will register you with such a service immediately you buy a car but then the membership will last for only one year. With such a service, whether you are in Fresh Meadows, Queens, Brooklyn, Williamsburg, Greenpoint, Long Island, Bronx, Astoria or any other location in New York or outside NYC, your car will get unlocked. Modern cars can also be unlocked through mobile phone apps. Here you can send a simple instruction such as “Unlock Car Door” and the door will be unlocked. Again, you can access details about your cars through the mobile phone app; these include updates on the security systems. However, when you are completely locked out and the car cannot be unlocked remotely, unlocking the car through other methods is challenging. However, a professional auto locksmith will find a way to get past the high-tech security system. 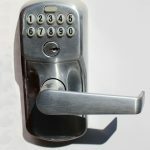 You do not have to wait to get locked out of car Queens, New-York USA to visit an auto locksmith. With the comfort of a 24-hour locksmith near me or a car key copy near me, you can easily visit any of these services at your most convenient time to get a duplicate for your car. The next time you are locked out, you will have a key somewhere and this limits the need to rush to get car key replacement in Queens New-York USA. If you have lost car keys, Ford, before, then you should always remember to double check when you are locking your car door so as not to be locked out. Though you can get 24/7 service, being safe is always better than being sorry. Most people will call (718) 445-9200 to request for emergency services. Thanks to the locksmith 24-hour service, you can get help any time of the day. There are a host of services you can request when locked out of your car as explained below. Irrespective of how it happens, one day you may get trunks lockout, and immediately think of a car key copy near me to save the day. The problem is car locks are always changing, and the method that works on one car model may not work on another. Most times, the trunk lock is the same as the car door lock. Professional locksmiths will simply open your trunk using the manual trunk release that can be accessed from your car’s door. When the trunk cannot be accessed due to deadlock features, the problem only gets a little complicated but the trunks lockout can still be solved through drilling. With a 24 hour locksmith near me, it doesn’t matter whether I have lost car keys Ford anywhere in New-York USA, in Queens , Fresh Meadows, Brooklyn, Williamsburg, Greenpoint, Long Island, Bronx or Astoria. If you lost your key and you need a replacement key just call us now (718) 445-9200. You will need replacement car keys when you have locked keys in the car and there is no method to get past your car security system. There are three main ways through which you can get replacement car keys. You can either call the dealership. Dealerships have the right machinery to get you a key fast. If you have transponder keys, a machine will be connected to your car and new transponder keys will be programmed. The problem with dealerships, though, is that you will have to tow your car to them. In the event that you do not have Queens, NY, USA Roadside Assistance, you will incur extra costs. The cost of replacement car keys or car lock service will depend on your lock, your car make, and model. You can call a locksmith for car lock service or have lost keys replacement. Usually, an auto locksmith will offer car lock service any time of the day. The best part is that they will get to where you are and you do not have to tow your car, all you need is to call (718) 445-9200 when you think of a car key copy near me. A mobile locksmith will get to your location in less than 30 minutes if you live in Brooklyn, Williamsburg, Queens, Astoria, Bronx and surrounding areas. You can also request for a key online. Usually, you will only need to provide VIN number and the key will be made. It is easy to get a key maker online. To get the key fast, search for online car key copy near me. The key can even be delivered overnight at a premium fee. Key cutting, like any car lock service, requires a specialized machine. Most keys are made of brass, which makes it easy to cut keys as the metal that cut keys has to be harder than the key metal. The key cutter machine takes a full blank and this provides a proper warding to produce a duplicate key. This can be done within a very short period after you call (718) 445-9200. To be on the safer side, have a car key cut before you lose the one you have. Car key duplication is a special type of car key cutting. Any key maker or locksmith 24-hour service can duplicate your key. Here, you need to have the original car key. A locksmith will only feed the key on the duplicator which reads the patterns on your key and creates a duplicate. If there is no key for the duplicator to read, an auto locksmith will use other methods to get your lost keys replacement. 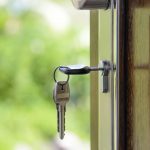 Even when you have an existing key, you will still need a locksmith in Fresh Meadows, Brooklyn, Williamsburg, Greenpoint, Long Island, Bronx or Astoria to get the right positioning of the key for a better duplicate. Most cars are now using fobs and this has made car lock service easier. Jobs were earlier viewed as objects of luxury. Today, with the technological advancements, they have become a necessity. They can be used to open car doors and even to ignite a car. When you mistakenly locked keys in the car and need car key replacement in Queens and you use a fob for a majority of the operations on your car, a technician will find it easy to replace. 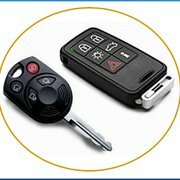 If the fob controls a lot of activities from unlocking doors and trunk to ignition, you will want immediate car key replacement in Queens, NY. Make sure that old fobs are rendered useless when you replace them with new ones. This is important as someone in New York USA may be having the fob and later access your car. Transponder programming, car key extraction, rekey locks services, ignition cylinder replacement, ignition switch replacement and rekey ignition New-York, US, are offered when you call(718) 445-9200. Ignition repair is usually offered when one uses transponder keys. While you may think the responder is not working, sometimes it is the ignition system that has a problem. On assessment, the locksmith for cars will tell you whether your car needs ignition repair or a new transponder key. You can get transponder chip keys duplicate New-York, US, before it gets lost or spoilt. Have you been searching for sliding door lock services in the NYC area? For New York locks, call us 718 445-9200. Our store is known for Kwikset, Baldwin and other lock brands, but we also service the door locks in your home or business. This means we have 24/7 locksmith services near you with fast arrival and affordable prices. When you call us 718 445-9200, you will see we are locally owned in NY and serve NYC, Brooklyn, Queens, Long Island and Manhattan. To find out more about our sliding door lock services, keep reading. When sliding lock doors need servicing? Unfortunately, many owners of sliding lock doors wait until it is too late to get the repair. In addition to losing utilities because the door is not shutting properly, the other disadvantage is theft. Worse, because the door will not shut, the wind takes advantage and causes the tracking around the door to become loose. Instead of waiting until the door is no longer shutting properly, regular inspections and maintenance can go a long way to keep the lock functioning throughout the year. Regardless, when there is an emergency, we are happy to help you get your sliding lock fixed as quickly as possible. Where sliding door locks matter in NYC? Most of our sliding lock service calls in New York come from retail customers with large plate-glass doors on the entryway of their businesses. However, we also specialize in sliding lock doors that are part of homes as well as apartments. In fact, there are a large number of balconies in office buildings that also have sliding doors. These doors are beautiful and allow in a lot of natural light, but a broken lock is a huge security risk. 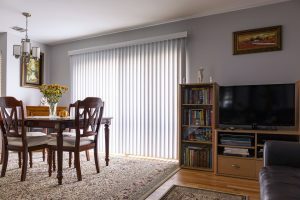 This is especially true if the sliding door allows intruders to take advantage of your property. What to expect when we visit your NYC business or residence? When you have your sliding door lock repaired when you call us 718 445-9200, we make sure that your property in NYC, Brooklyn, Queens, Long Island and Manhattan is secure when we leave. While we are servicing your door, we may need you to have an assistant at your home to let us inside to access the sliding door. Any NY business that is calling us after closing will also need an assistant at the New York address you give us for the repair. 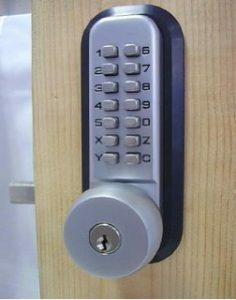 Although there are specific sliding door lock models, we are also known for other lock styles that we can deliver to your home when we are making repairs or doing an installation. For example, for extra security, Kwikset, Master Lock, Medeco Lock, Mul-T-Lock and Baldwin models can be helpful. We also have heavier Kwikset locks, and other heavy-duty models from Schlage, Arrow and Yale. For a tougher lock, try Adams Rite Locks, MARKS USA and Corbin Russwin for jimmy proof property solutions. As you can see, we offer more than sliding door lock services at Armor Locksmith, NY. For your convenience, we are located in New York and service the entire NYC Metro area. To get services in NYC, Brooklyn, Queens, Long Island and Manhattan call us 718 445-9200 today. Our friendly staff are happy to help you get our 24/7 locksmith services near you. Fast arrival and affordable prices are what you will find at our locally owned New York business.